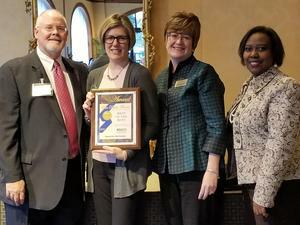 Mount Airy City Schools has been recognized for excellent work in public relations and communications by NCSPRA. 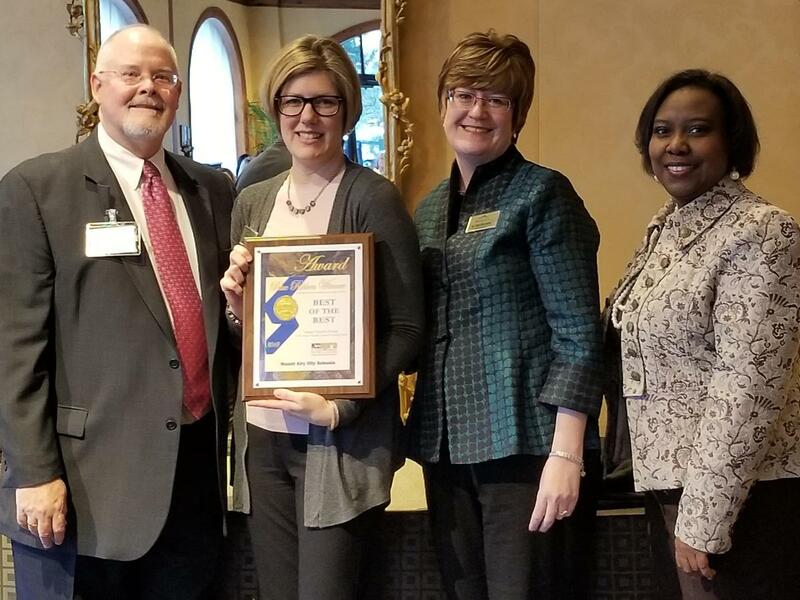 On Friday, February 1, 2019, the North Carolina School Public Relations Associations (NCSPRA) held their Blue Ribbon Awards for Effective Communications Ceremony at the O’Henry Hotel in Greensboro, North Carolina. This annual recognition celebrates the excellent work of public relations and communications from districts across the state. 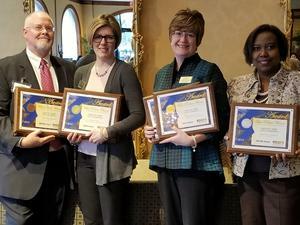 A Mount Airy City Schools officer was among public relations professionals honored. Public Information Officer Carrie Venable was present to be recognized for her work. The Mount Airy City Schools district won nine awards; four gold awards - one in electronic media, one in Image/Graphic Design, and two in Publications; one silver - in Digital Media Engagement; and four bronze - two in Digital Media Engagement and two in Special Events/Programs. For the fourth year in a row, Venable was recognized for her accomplishments by the organization. This year the group received 322 submissions. The program concluded with the Best of the Best awards. This coveted award is earned by the submission with the highest score in each category, leaving eight additional awards to be named. Venable was shocked when Mount Airy City Schools was revealed as the Best of the Best in the Image/Graphic Design category. Superintendent Dr. Kim Morrison was present to receive the award with Venable.